If you are involved in a motor vehicle accident, it can be a stressful and anxiety ridden experience. There are over 160,000 car accidents in Canada each year. While driving in Canada is safer than in many other countries, there is still a serious risk of suffering serious injuries in a motor vehicle accident including traumatic brain injuries, spinal chord injuries, paralysis, broken bones, internal injuries and even fatalities. If you are seriously injured in a British Columbia automobile accident, it is very important that you take certain steps following the traffic collision to preserve your rights to seek compensation for your injuries. The experienced and knowledgeable lawyers at Mulligan Tam Pearson advise and represent those involved in automobile and trucking accidents throughout British Columbia. If you or someone you love has been injured in a motor vehicle accident, we offer a free no obligation initial consultation. The first priority if you are involved in a serious car accident is to make sure everyone is out of harm’s way and to seek immediate medical treatment for your injuries. Even if you only have very minor symptoms, you should go to the hospital and follow-up with your family doctor as soon as possible. Some auto accident injuries that are very serious are not immediately apparent. You should seek prompt treatment and make sure to tell the doctor about any symptoms, no matter how minor they might seem at the time. If you fail to go to the doctor, you may have difficulty later when you need to establish that the car accident was the cause of your injuries. You should continue seeking treatment with your family doctor who can oversee your entire course of treatment and refer you to specialists as appropriate. This allows your family doctor to be familiar with your entire course of treatment so that your family doctor is in a position to provide a detailed professional medical report or testify regarding your diagnosis and prognosis. While making sure you get immediate medical attention following a traffic collision is important, you should also gather as much information at the accident scene as possible once you have attended to your injuries and confirmed that everyone is out of danger. The first priority is to make sure you get names and contact information for anyone involved in the accident including other drivers, bicyclists or pedestrians. You should also take photographs of your injuries, any skid marks, the condition and position of the vehicles and the surrounding area from multiple angles. Even poor quality photos from a cell phone camera will assist an accident reconstruction expert in analyzing and explaining the accident. You also need to summon the police so that they can investigate and make sure to get a copy of their report. If the police report is not immediately available at the scene, you should at least get a report number and the name of the investigating officer. If there is debris left by police at the scene, you should make sure the debris is preserved. If there are witnesses to the motor vehicle accident, make sure to get their names and contact information including anyone at a nearby business who may have witnessed the accident. You also need to notify ICBC of any traffic collision in British Columbia, but should contact an experienced personal injury lawyer before providing details or meeting with an ICBC representative. 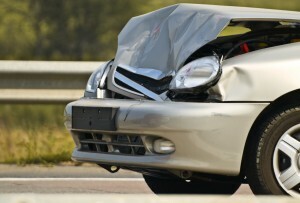 It is important that you do this quickly because there are strict time limits that govern auto accident injury claims. The personal injury lawyers at Mulligan Tam Pearson will advise you of your rights, make sure that you take the right steps to avoid damaging your claim, and advise you about time limits. We will carefully investigate the circumstances of your accident and work with you to make sure that you receive the compensation you deserve. You have nothing to lose by giving us a call at (250)480-4040, and more than you might realize to gain. Call Mulligan Tam Pearson for your free initial no obligation consultation. If you’ve been injured in a motor vehicle accident you should obtain legal advice immediately. There are limits on how long you have to take action.